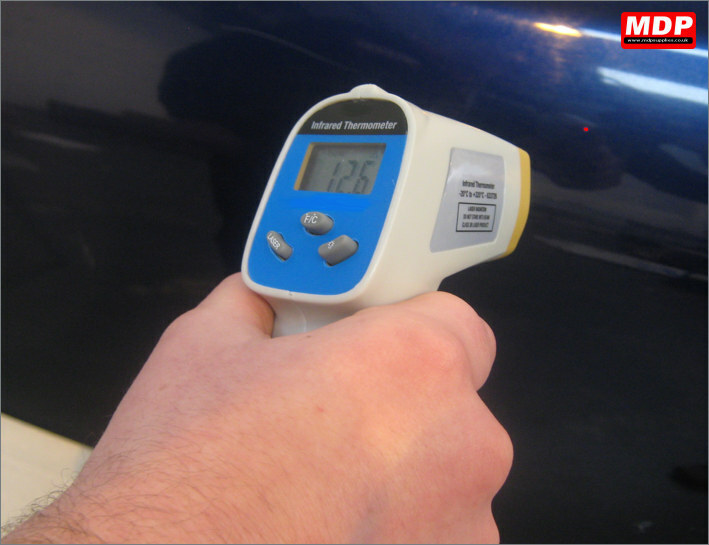 Laser pointer thermometers for checking the temperature whilst vehicle wrapping. 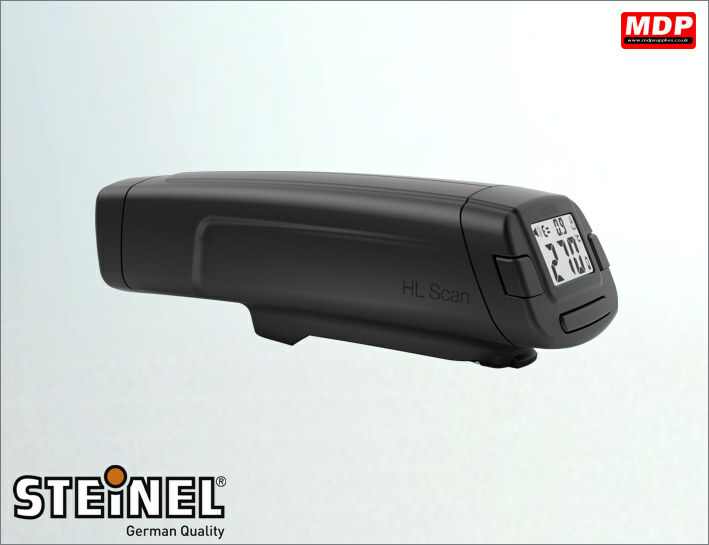 The Steinel HL Temperature scanner monitors the heated object using an LED beam and simply clips onto the top of your heat gun. Set the temperature level required and the scanner alerts the user acoustically and visually with a 3 colour LED display when temperature exceeds or falls below the permissible limit. Suitable for use with the HL1920E, HL2020E and HG2320E heat guns from Steinel. Price for 1+ £44.75 ea.